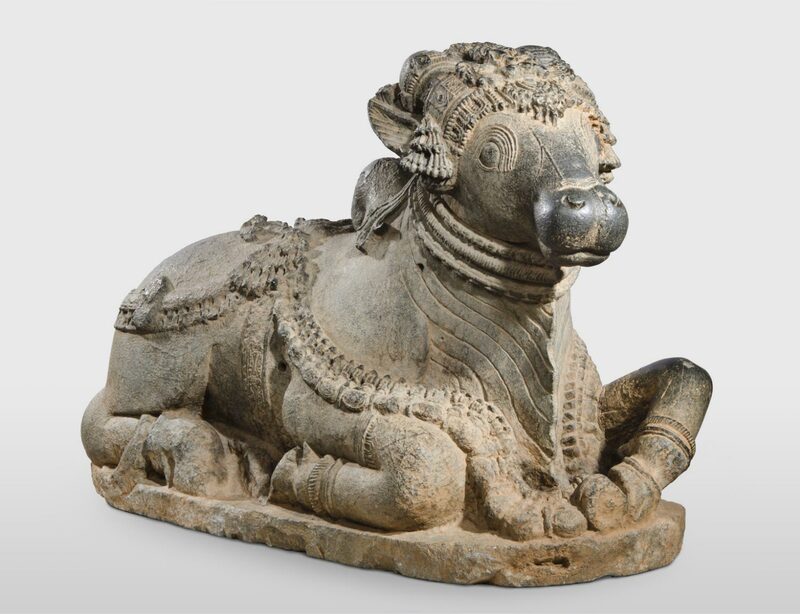 Nandi (Joy) is the name of the humped, or zebu, bull, which when represented in Indian art conveys the presence of the Hindu god Shiva. 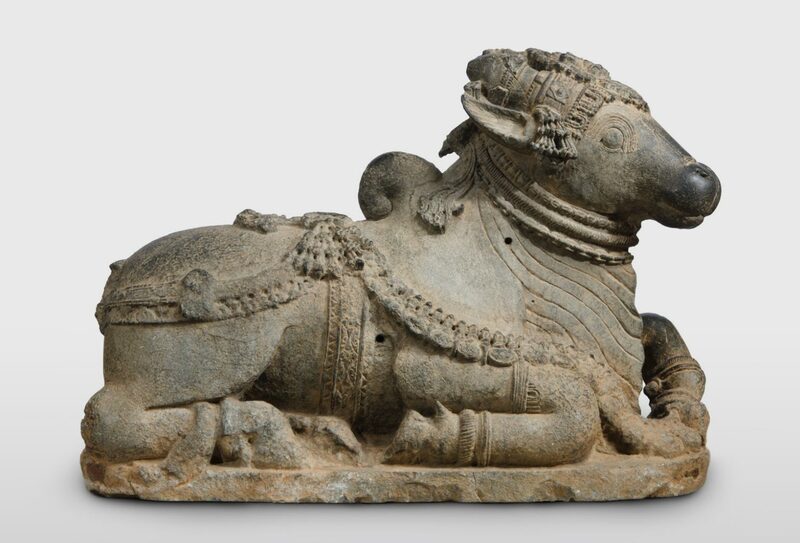 Like the anthropomorphic images of divinity, those of the sacred bull are carved in many different styles but are primarily a contribution of the art of South India. Generally these sculptures were placed in a temple facing the sanctuary that held the main symbol of Shiva. 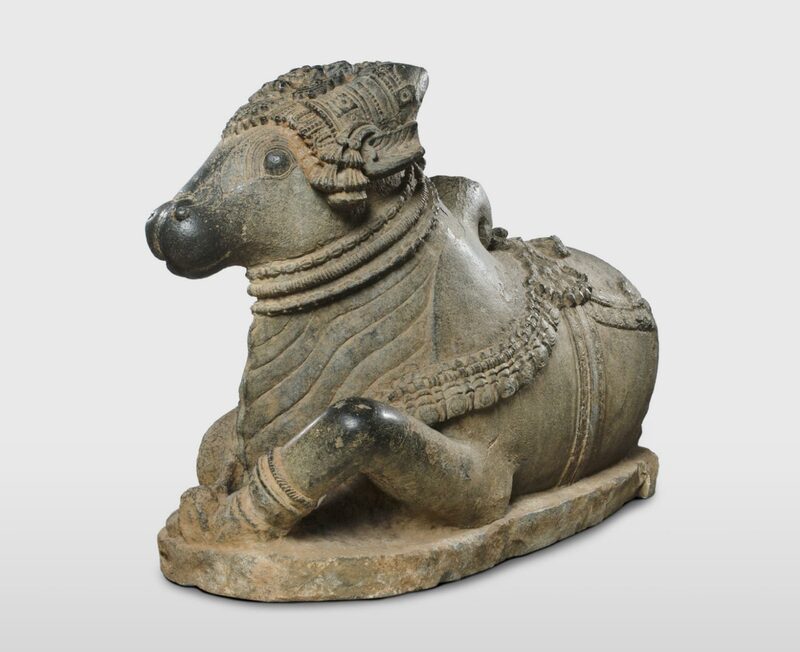 The posture of these animal figures is usually the same: they recline in a slightly asymmetrical way, as if having just lowered themselves into this position with their legs and tail tucked under and with the head attentively raised in a noble attitude. 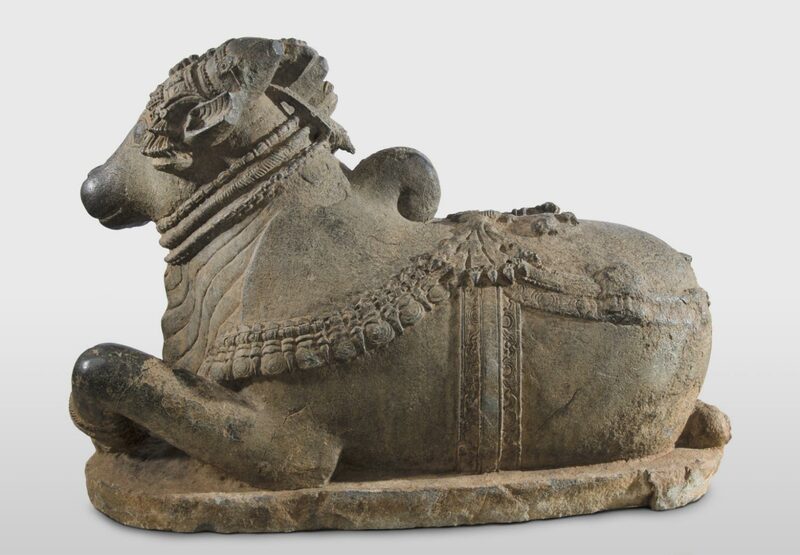 Here, intricate garlands of jewelry, bells, and other trappings and linear accents all carved like filigreework enhance this monumental yet sensitively modeled animal manifestation of a god. Stella Kramrisch, from Philadelphia Museum of Art: Handbook of the Collections (1995), p. 53.